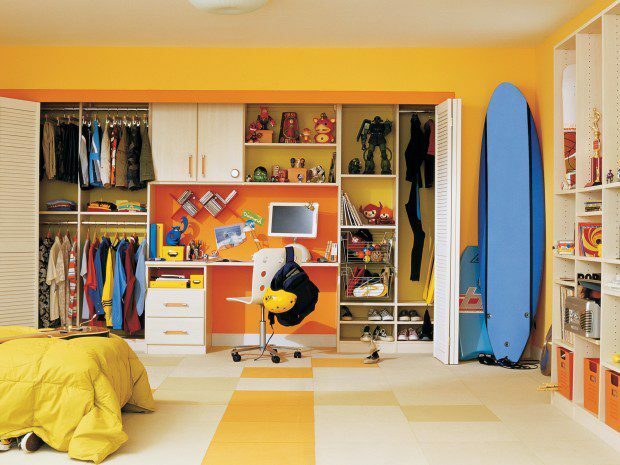 Your kids closet and room will need to adapt as he or she grows and changes. 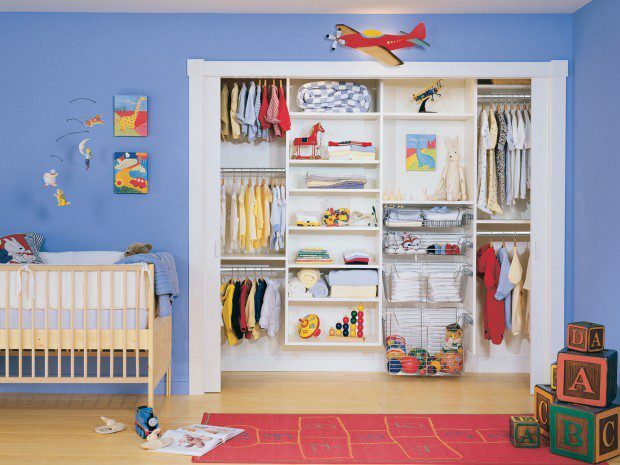 Adjustable shelving, hanging areas, and baskets organize the closet to evolve with your child, allowing for a space that stores clothes when he or she is young to become a place that also houses technology, sports equipment, and books as your child grows older. Pull-out baskets are perfect for storing multiple sizes and shapes of toys. 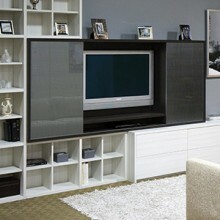 Optional on- or off-the-floor construction to fit aesthetic and storage needs. 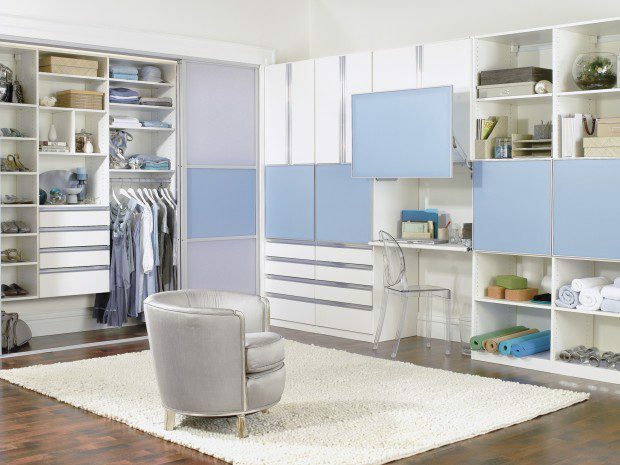 Designed for every age and stage, this darling reach-in closet features petal pink back-painted glass for a feminine finish. 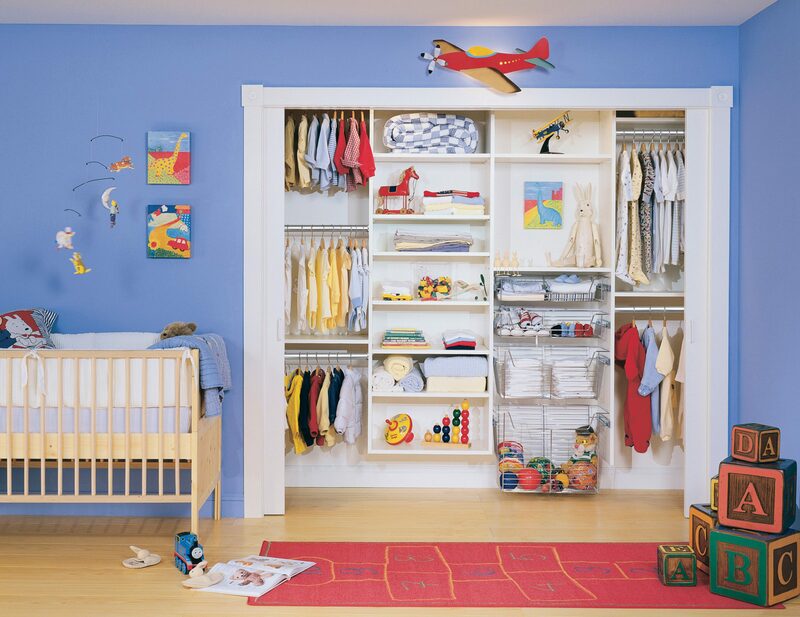 A well-appointed arrangement of adjustable shelving and hanging rods grows with your child, taking her from babyhood through the teen years with ease. 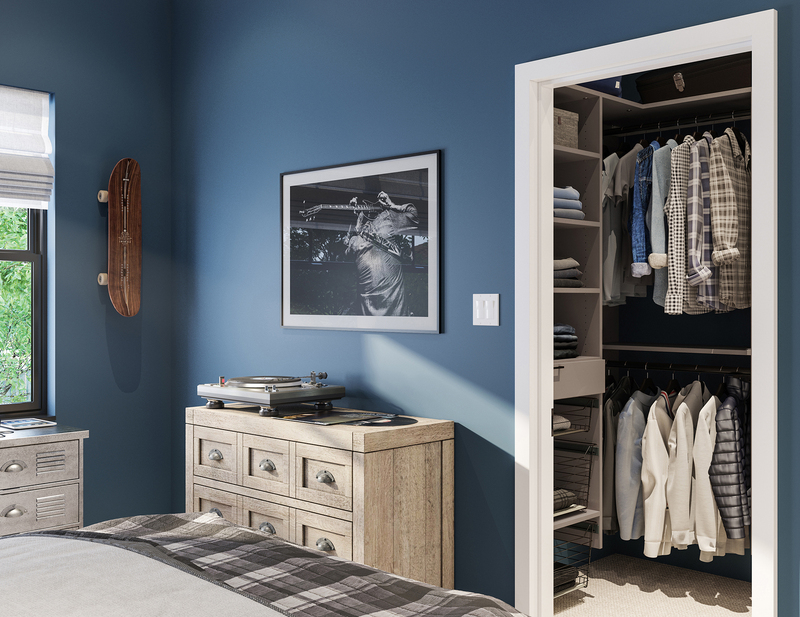 This efficiently designed closet has space for all the essentials, with shelves and wire baskets for shoes and folded items, along with round hanging poles for shirts and jackets. 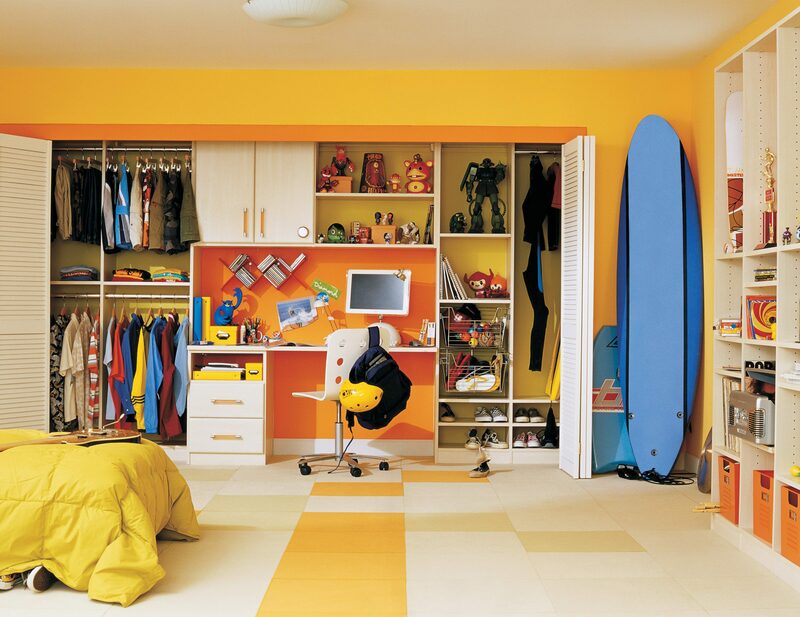 This multifunctional teen bedroom system allows for easy organization and provides some unexpected style. Tesoro™ Cassini Beach provides a neutral backdrop. Aluminum wide-frame doors with Hollywood Silver Ecoresin inserts add an artistic accent. High-gloss acrylic Parapan slab door and drawer fronts add a splash of color. Puck lighting provides soft illumination. Coordinating Cassini Beach back panel creates furniture-like look. Brushed Aluminum decorative hardware coordinates with the metallic accents. 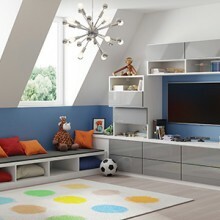 Cubbies, shelves, hanging space and drawers make for a versatile system that can adapt throughout the years. Classic White system offers a simple backdrop. Polished Chrome pull-out baskets create easy storage. Polished Chrome round poles provide hanging space for clothing. 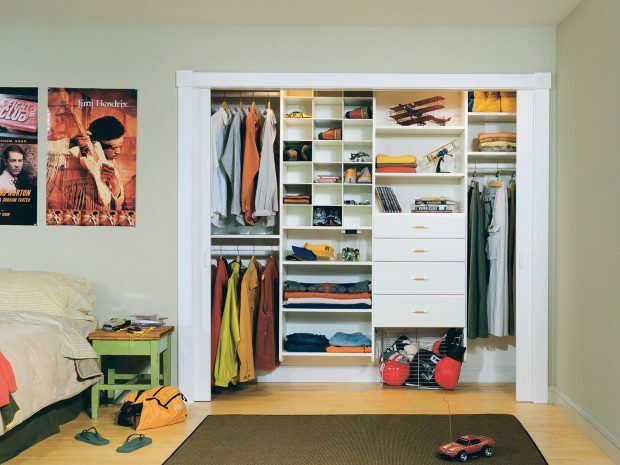 White slab drawers provide seamless concealed storage. 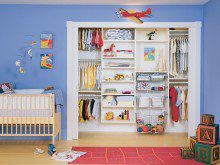 A simple system with adjustable shelves, wire baskets and plenty of hanging space can grow to fit a child's changing needs. Classic White system offers a fresh, neutral backdrop. White slab drawer provides seamless concealed storage. 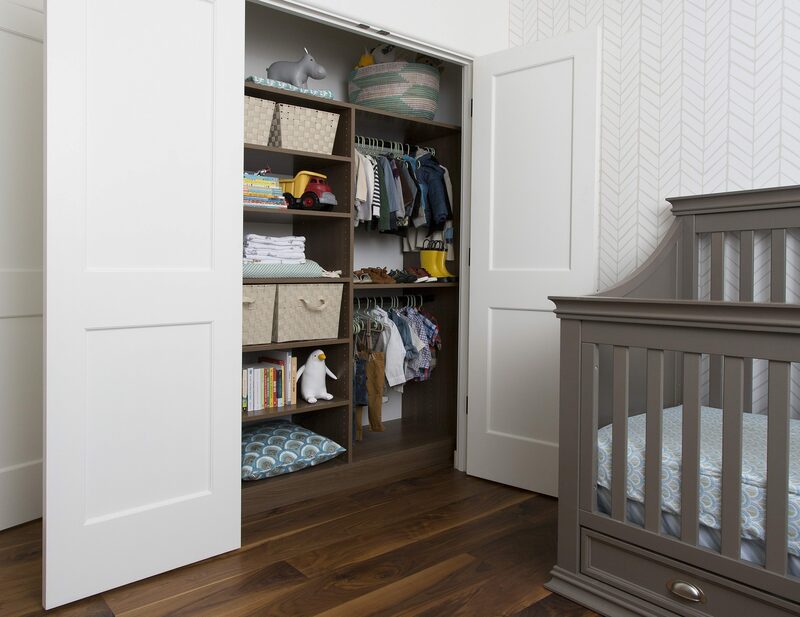 By maximizing storage to fit a newborn's needs, this system is perfect for a nursery, but can adapt with a growing child. Blending hanging space with adjustable shelves, this closet suits a newborn's needs with room to grow. Lago® Roman Walnut finish provides rich contrast to the room's light color palette. 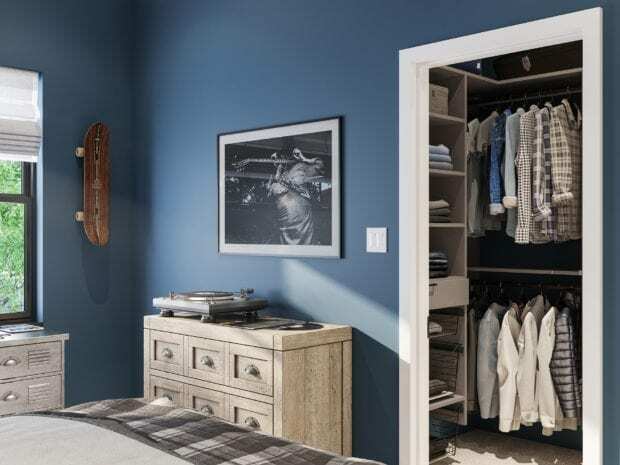 Oil-rubbed Bronze round closet poles provide space for hanging clothing. Floor-based system offers a built-in look. This gorgeous kids closet system befitting a budding style icon features slanted shoe shelves and space to highlight favorite items. Classic Ivory finish creates a neutral backdrop. 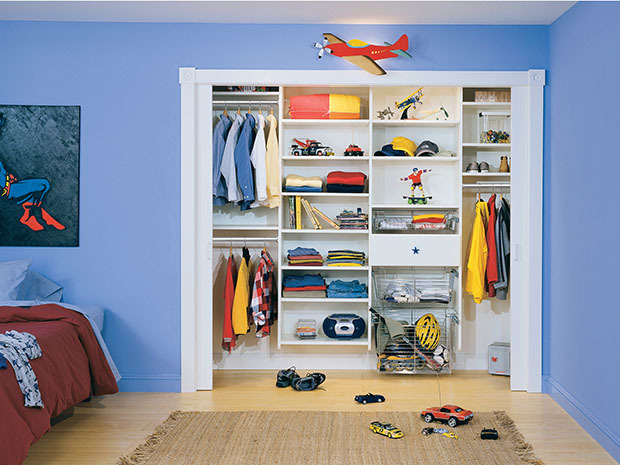 Aluminum sliding closet doors with Satin glass inserts add a soft touch and conceal clothing and accessories. Slanted shoe shelves offer a designated space for footwear. Acrylic shelf divider keeps everything organized. 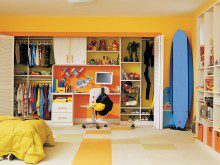 A storage system with adjustable shelves and a built-in desk will grow and adapt to a child's changing needs. Classic White finish creates a neutral backdrop for belongings and accent colors. Slab door and drawer fronts offer a modern look. Polished Chrome pull-out baskets offer easy storage. 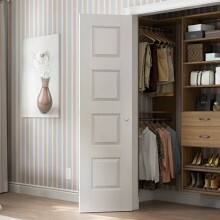 Polished Chrome round pole provides hanging space for clothing. Integrated desk space creates a designated work space. Integrated Aluminum extrusion finger pull detail extends the full length of the door for an industrial look. Aluminum sliding doors with custom back-painted glass inserts add youthful flair. Brilliant splashes of red create bold and youthful energy befitting this built-in wall bed and desk system. Tesoro™ Tuscan Moon finish acts as a neutral backdrop. Red high-gloss slab door and drawer fronts lend a modern, playful look. Square Brushed Nickel decorative hardware adds polish and contrast. Custom shaped countertop perfectly fits the space. Flip-up door mechanism optimizes accessibility. Mattress platform with drawers maximizes storage. Cubbies offer flexible storage space in kid's closet.